Hope had her babies on 3/12/2019. Hope has 2 beautiful little red boys named Travis and Blake. Blake is a little bigger than Travis. Blake is SOLD. These are 2 of the photos we used for the CFA Breed Presentation. The one on the left is demonstrating good length. The one below is showing profile and degree of curl in the ears. Kingsley is a red mack tabby. He is a Supreme Grand Champion in TICA. 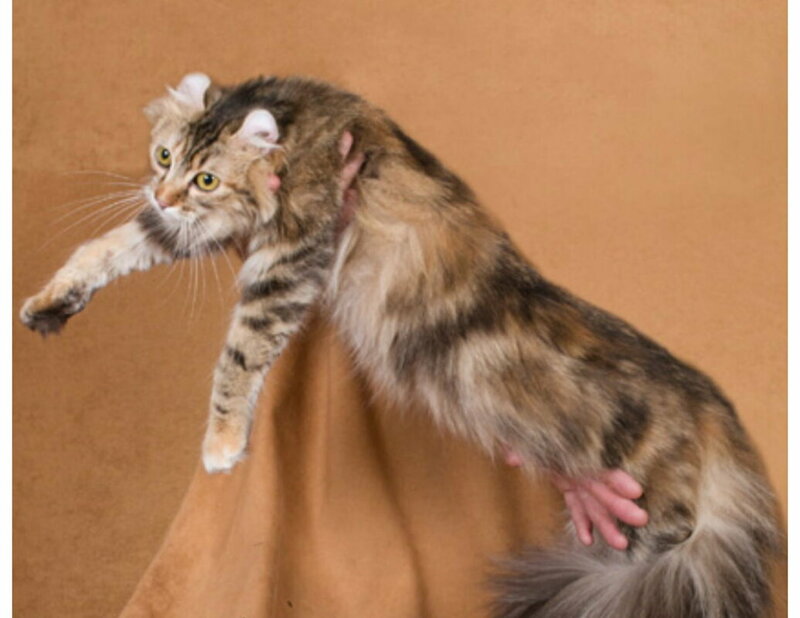 One issue curl breeders have when they breed curl to curl all parents with curled ears is that after awhile, they will started getting thicker cartilage in their cats' ears. Grace Ruga (founder of the breed and our mentor) kept commenting on the thicker cartilage in the ears in some of our first litters. We didn't have a clue what she meant. That's all we had seen or felt so we didn't have anything to compare to. She brought over Kingsley's dad... we called him Howie (registered name is Curl Essence Something Royal). Howie's was a SE registered Curl. 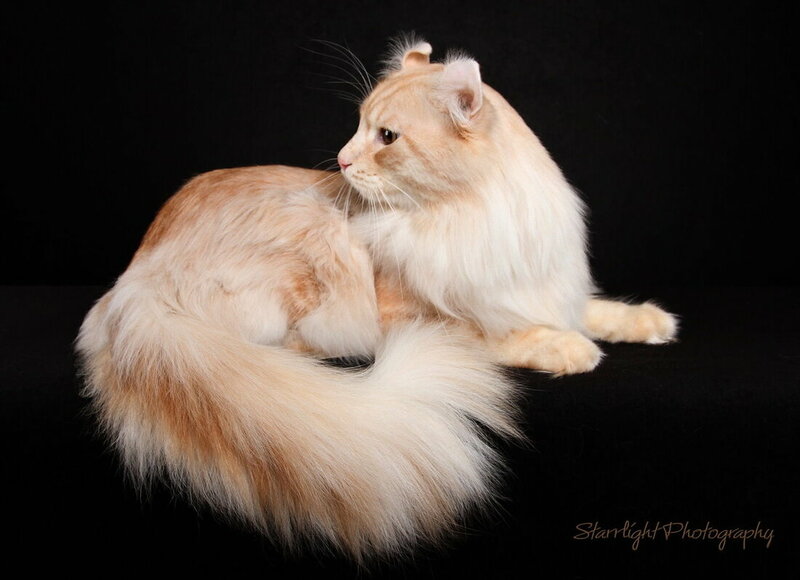 His dad was a Grand Champion with curled eared and a nice pedigree. Mom was a registered outcross. When Alex Chisholm, a long time TICA judge, first handled Kingsley, she made the comment that he was "the best American Curl she had ever seen". He has several Grand Champion sons. One is in Brazil, plus our boy, Curl Essence Help in Time of Need ("Timmy") who is also a Grand Champion. Hope has 2 little red boys. They are Blake and Travis. They are 4 wks old in the photos below. This is the first time we've had them out of the nursery so they were a little confused at first. Blake was all about sniffing and smelling everything. At one point, he decided to start nibbling on the yellow flowers. Blake is a little bigger than Travis but that could change quickly. Travis seemed really interested in the toys once he figured that this was an ok place to be. Both Hope and Kingsley are outstanding cats. Either of these boys could be show/breed if anyone is interested.